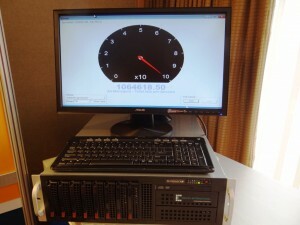 I guess if you wanted to catch everyone's attention at a place like Computex Taipei, displaying any product pushing in excess of 1 million IOPS would do it now wouldn't it? Our official Computex visit started off with a meeting with Alex Mei, CMO, and Jessica Lucan, Global Marketing Director of OCZ Technology, and have we got some toys to talk about with you. If there is anything tht OCZ is not short on with respect to technology, that is innovation. Don't believe us? Read on and brace yourself! One would always expect big moves by big companies but today we happened to stumble upon something just a bit unexpected. You may remember some time ago we did a SSD review on the MX-DS 'Sandforce Driven' SSD which was introduced by a fairly new company called Mach Xtreme. 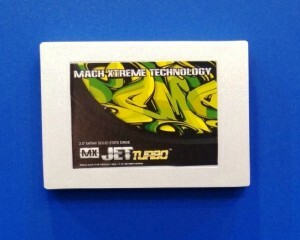 We met with Tomasz Swatowski, Marketing Manager of Mach Xtreme, this morning and quite frankly, we may have stumbled on the hidden GEM of Computex SSDs. 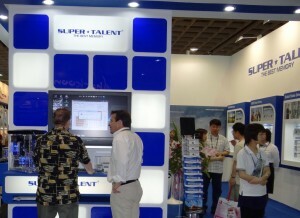 Having announced the only USB3 Flash Drive SSD at Computex Taipei, SuperTalent was no stranger to innovation and trust us when we tell you that this flash drive is pure SSD through and through. Although we brought the news to you first at CES in January, the RC8 was initially believed to contain 3Xnm NAND flash memory, however, the release was delayed as SuperTalent thought 25nm might be a better choice. If you are looking for the absolute fastest flash drive, look no further! The RC8 is based on the heart and sole of SandForces rise to fame, the SATA 3 SF-1200 processor which is single handedly responsible for SandForces quick rise to fame in the SSD arena.